As already mentioned when it comes to choosing the right kind of lavender Freshwater pearl necklace you need to take neck, face and body shape into account. 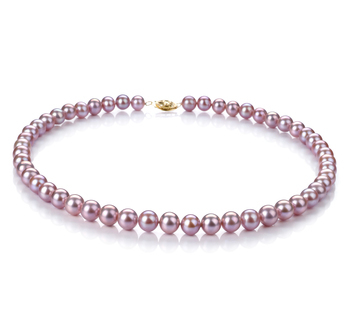 So in order to help you with finding the right kind of necklace for you to offer some tips below you may find useful. The shape of your neck will play an important role when it comes to deciding the style of necklace to buy. Women who have a long thick will find that wearing a choker style Lavender pearl necklace is their best option. This will help to give the appearance of their neck being shorter. If you have a wide short neck then you should be looking to wear a longer length necklace, say one that measures between 20 and 24 inches. This will help to make your neck look more elongated and look more swan-like. 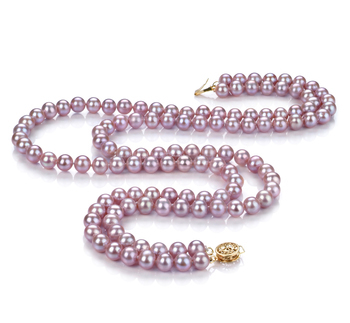 Longer length necklaces should be something more mature women should consider wearing as they will help to direct other people’s gazes away from their neck. 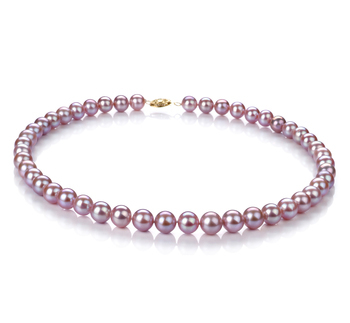 A lot of women don’t think their height is something that they need to consider when looking to buy a lavender Freshwater pearl necklace. But this is an important factor that all women need to take into consideration. Shorter women should avoid wearing long necklaces but stick to ones that sit on their collarbone or just below it. So one of choker style Lavender Freshwater pearl necklaces would be ideal. Also, such women should avoid wearing any kind of necklace that is made up using larger size pearls. Again such pearls will only help to emphasise their height even more. Average to tall women are very lucky, as they will find that they can pretty much wear any length of a necklace they want. However, it is important that they choose a length that they feel comfortable wearing and will also match the outfits that they intend to wear them with. 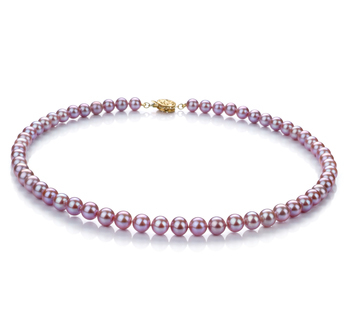 These women would look fabulously if they choose to wear a princess or matinee length lavender Freshwater pearl necklace from our collection.